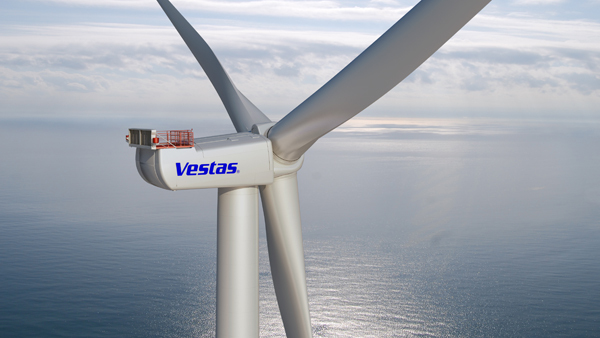 The green energy race just got kicked up a notch with the latest offering from Vestas. The Vestas V-164 is the world’s largest and most powerful wind turbine, and each of its three blades measures 262 feet in length. To put that into perspective, that means each blade is the same height as a 24-story tall building! The turbine is manufactured to operate offshore and is expected to provide 8-megawatts of power – enough for almost 8,000 homes. No other wind turbine comes close to providing that much power. Early prototypes over the turbine provided just over 7-megwatts of power, but the company has been able to increase this over the production phase. “As we progressed in the technology development it was clear that an 8 MW version of the turbine will offer lower cost of energy and at the same time keep the reliability and structural integrity of the turbine unchanged,” says Anders Vedel. The turbine will enter a testing phase as early as January 2013 and should be installed in Oesterlid, Denmark sometime in 2014. Vestas has been working with wind technology since 1979 and has installed turbines in over 70 countries, totaling over 50 gigawatts of power. The V-164 shows just how powerful wind technology can be today and indicates just how powerful it may become in the near future. 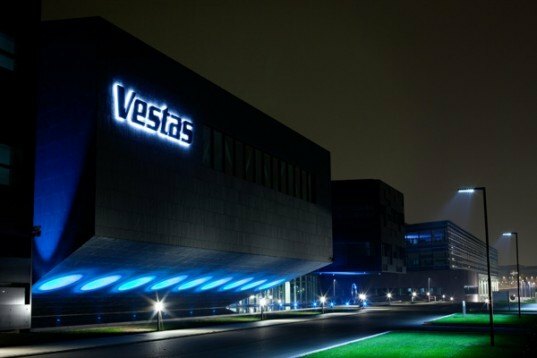 The green energy race just got kicked up a notch with the latest offering from Vestas. The Vestas V-164 is the world's largest and most powerful wind turbine, and each of its three blades measures 262 feet in length. To put that into perspective, that means each blade is the same height as a 24-story tall building!